Just recently moved into the Beaches area, Curvaceous Consignment caters to woman of size 14+. It has it's large array of clothing for woman who love to shop in any style. If you yourself are looking to consign gently used clothing, purses, jewellery, shoes, accessories, or are in the Beaches or Thornhill areas and want to purchase one of the many items, I highly recommend it. Everybody owns clothing that they no longer wear due to lifestyle changes, changing tastes and body shapes. 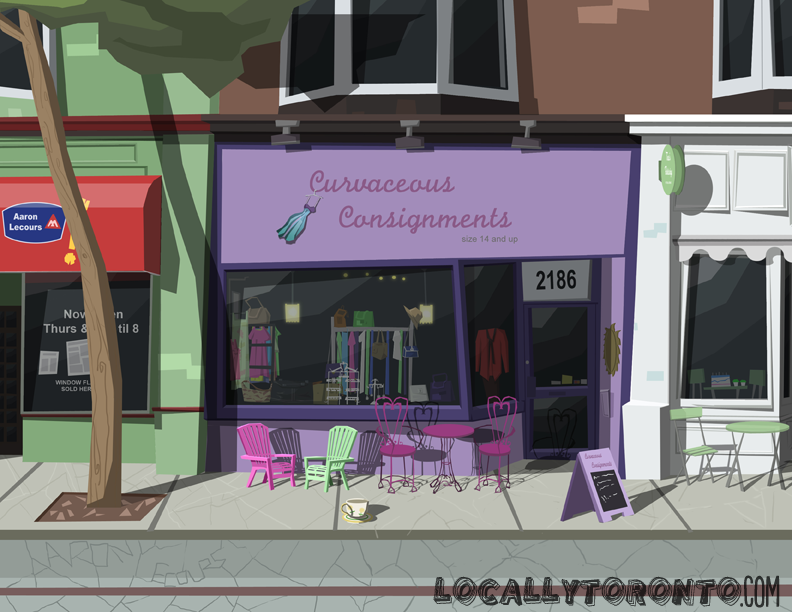 Curvaceous Consignment looks to recycle and reintroduce your clothing, in a popular and profitable way for you. Their selection ranges from business wear to casual items and formal pieces, in either designer labels/or brand names. So why not come down to Curvaceous Consignment? I can't think of any reason. Check out their information below and link. Definitely consider that which you stated. Your favourite justification appeared to be at the internet the easiest factor to have in mind of. I say to you, I certainly get irked even as folks think about issues that they plainly don't recognise about.